There’s something so comforting about a grid-style guide. At least that’s true for us older fogeys. Younger people, it seems, don’t care for a guide. They prefer to see what’s on now, and they don’t care what’s on in a few hours. That’s the conventional wisdom anyway. 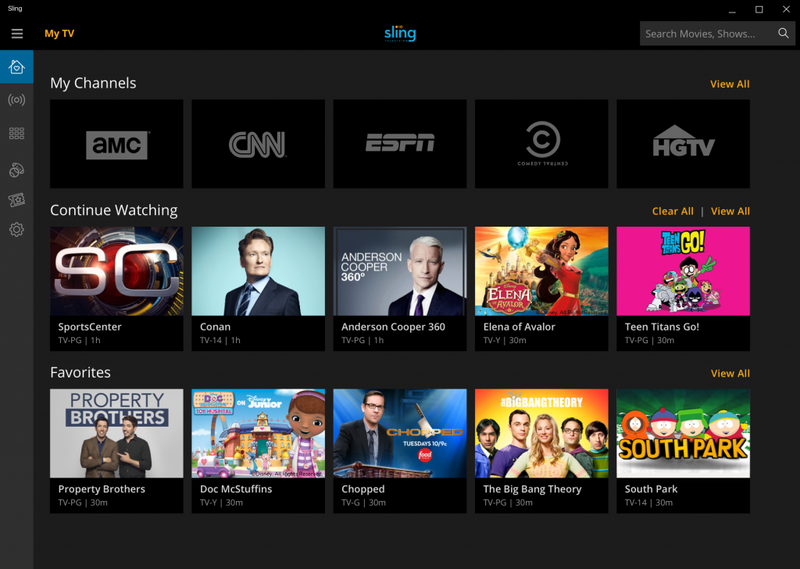 It’s so ingrained that when Sling launched their live TV service, it originally didn’t even have a guide. People complained though, and the guide was added. 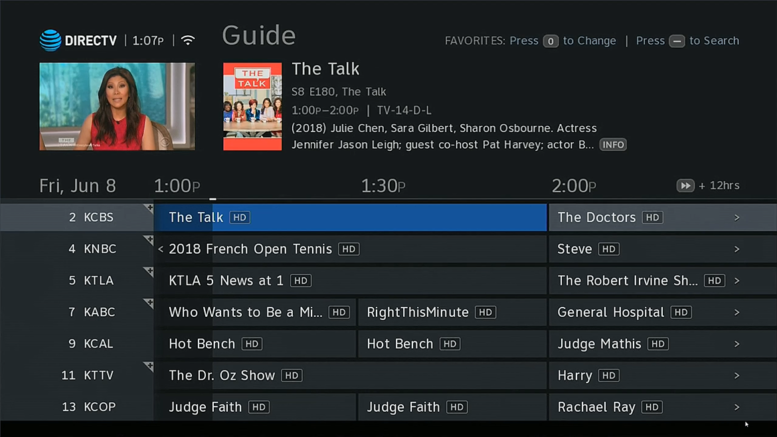 When DIRECTV NOW launched about a year later, it launched with guide intact. Both services have a millennial-friendly “What’s on Now” as their home page, but that guide isn’t too far behind. The grid-style guide dates back to at least the early 1960s. It was rare to see it every week, but at least once a year it showed up in TV listings. Back then, all the shows premiered in the fall, and there were only three networks. The grid-style guide continued in print and eventually became a regular feature of TV Guide magazine. I tried to find some fixed date when they rolled it out, but I do remember seeing a prime-time grid-style guide as early as 1991. I have a feeling Ken Reid could help me nail down the date. Cable systems showed guide screens like these as early as the 1980s. It was just a channel like any other, and not at all interactive. The information scrolled up from the bottom, and if you waited a few minutes, the whole thing would repeat. There were plenty of times I missed the beginning of some show or another because I was waiting for that silly guide to scroll all the way. Even so, this was an improvement over having a paper TV guide because this was free. Back in the day, your two options were TV Guide which was fairly expensive but always right, and the TV Facts (or some other off-brand name) that came in the Sunday paper. That publication was wrong pretty often and on top of which, it never had that coveted grid-style guide. 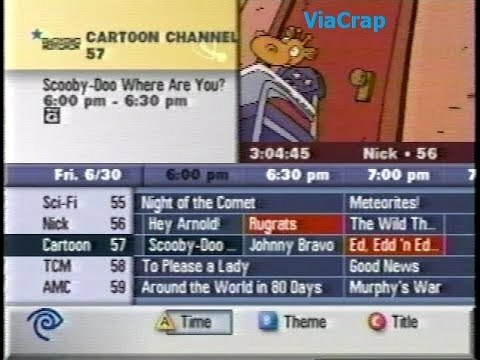 The cable company’s grid-style guide channel may have been slow, but you could always find it and it was totally free. One of the first interactive guides to reach a wide audience was the DIRECTV guide in the mid-1990s RCA receivers. This feature was quickly copied by other pay-TV companies as they transitioned to digital cable toward the end of the 20th century. What you see above you is a fairly typical on-screen guide from the early 2000s. You could move around from page to page, find what you want, and even change channels by pressing a button! If you weren’t there at the time it’s hard to explain how revolutionary this was. 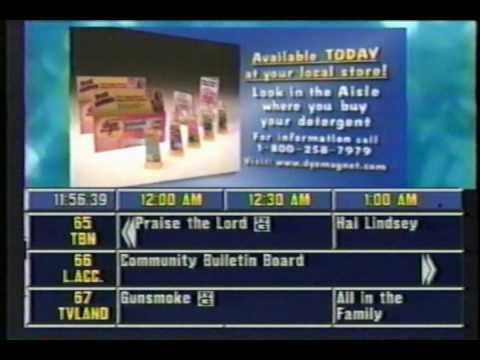 Interestingly though, DIRECTV and other services kept a scrolling guide channel until well into the ‘10s. I’m not sure who used it by then. Of course every pay TV service has a modern guide like the one at the top of this article now. Not only can you find the show you’re looking for but you can search for upcoming shows and record them. So, you see there is this whole group who became accustomed to the grid-style guide and most of us still think it’s one of the better things, even in comparison to sliced bread. That’s why folks “of a certain age” were surprised that it wasn’t a default part of the Sling TV experience. I have to say though, that I like to try new things. I like to see how the other half lives. I tend to use the “Now Playing” menus of DIRECTV NOW and Sling when I’m browsing. They’re a little better way to find new shows that I didn’t really think I’d like. Often times, these new-style menus do a better job of automatically delivering the stuff I actually watch. If I’m just looking for a safe choice, they provide it. But is it creating a bubble? Now that you’ve made it to the bottom of this article, here’s the real question. A grid-style guide is going to show you a lot of content. Sometimes, it shows too much. But a curated “now playing” guide has a tendency to keep you in a bubble. All it shows you are shows related to stuff you’ve liked in the past. I think this kind of menu has the potential to stop you from discovering a lot of other programs that you might not have expected to like. So, what do you think? I’m anxious to find out. You’ve made it this far in this article, so leave a comment and tell me if you prefer the grid-style guide, the now-playing-style guide, or something else. Let’s get the conversation started! Don’t wait – upgrade your DIRECTV system now!